Leveraging work done for one market opened an opportunity in another for a traditional contingency staffing firm that specializes in tech talent. It also differentiated the company and brought purpose and meaning to the employees. 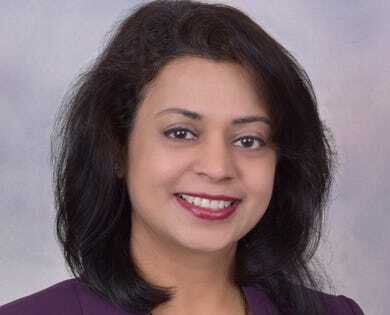 “We started as a technology solutions provider that expanded into staff augmentation for large corporations that needed IT, engineering, clinical, scientific, finance, and administrative skills,” said Hetal Parikh, president of Rangam Consultants. The company also developed technology solutions for K-12 schools that taught math and science curriculum as well as life skills and social skills. With a little tweaking, the K-12 technology could be used by special needs schools. This work was provided pro bono to schools. As a result of working with special needs schools, the Rangam staff became heavily involved with the autism community. Parikh and her staff recognized a coming talent shortage in specific skill areas. They also realized that certain groups of people were under-employed or not employed, Parikh morphed her company to take advantage of these trends. Among the companies, she works with is Microsoft, which is scaling a program called Autism at Work. Placements cover a range of skill, from warehousing to technology. And they are so successful that some part-time placements become full-time jobs. The key, she says, is for every organization to know that there’s a wide range of skill sets that people who have disabilites excell at. ColorsKit for early intervention, data collection, and vocational skills training. The Spectrum Careers, which provides employment assistance to job-seeking individuals who are on the autism spectrum. SourceAbled to facilitate the coordination and management of people with unique abilities while bridging the gap between candidates, disability support agencies and businesses. The benefits to employers are enormous. People who have disabilities have lower turnover: 8% versus 47% for people without disabilities, according to SourceAbled. In 2016-17, Rangam’s approach accounted for 7% of direct savings for one of its global life sciences clients. Moreover, the client reported high retention and low turnover as a result of contingent worker satisfaction. Forbes contributor Susan Galler writes that companies are not just finding great talent by widening the talent pool to include people on the spectrum but improving innovation. Many people on the spectrum are highly intelligent and motivated. They are solving problems with fresh approaches. Companies in industries as diverse as tech, media, travel, and pharmaceuticals are benefiting from this talent pool. Parikh has spread the word about this new service through being a women-owned certified business. “Certification opens doors for women-owned enterprises by providing business development opportunities, especially within the private sector [Fortune 1000],” said Marsha Firestone, Ph.D. in Forget the Glass Ceiling: Build Your Business Without One, research commissioned by Dell*. Firestone is president of the Women Presidents’ Educational Organization (WPEO), the NYC tri-state area regional certifying affiliate for Women’s Business Enterprise National Council (WBENC) a women’s business development and third-party certifier of businesses that are at least 51% owned and operated by a woman. Parikh’s foresight in seeing the need to tap new sources of employees has grown her company. Rangam now has 700 consultants in six countries. It also has a workforce that is invested in building close, ongoing relationships with clients. In 2018, Parikh was recognized for her contribution to driving the development of innovative and efficient solutions in operations and delivery. She won the WPEO-NY Star Award. How will you differentiate your business to grow? *The author of this article conducted this research.